Join us as we host compelling speakers and important programs on Social Justice, the Holocaust, and Human Rights. Be sure to bookmark this page as we’ll continue to update it throughout the year. You can also visit our Events page for even more ways to get involved. Please contact us with recommendations, suggestions, or questions. 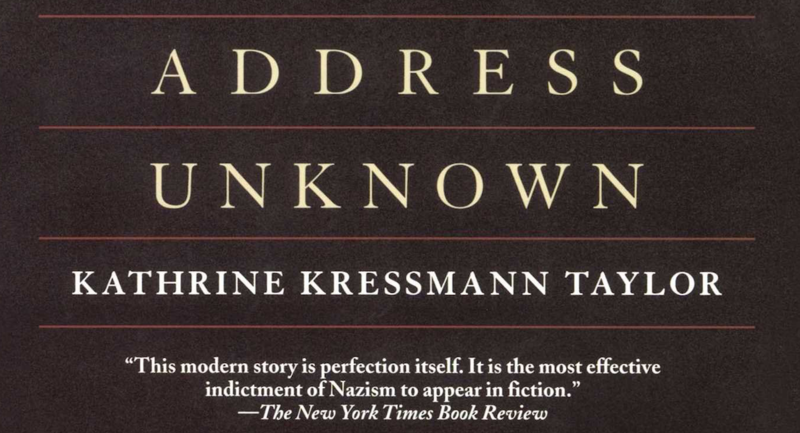 The Stan Greenspon Center for Peace and Social Justice will commemorate Yom Hashoah, Holocaust Remembrance Day, by welcoming two of Charlotte’s most respected actors, Charles LaBorde and Dennis Delamar, in a performance adapted from Kressman Taylor’s Address Unknown. This powerful work, capturing the correspondence between two German businessmen was first published in 1938 and served as a wake-up call to Americans about the dangers and inevitable consequences of the growing European conflict. Today, it serves as a cautionary tale about the dangers of intolerance. The program will be followed by a dessert reception. The Stan Greenspon Center for Peace and Social Justice is thrilled to welcome Dr. John Roth, renowned Holocaust scholar and esteemed professor of Holocaust and Genocide Studies. 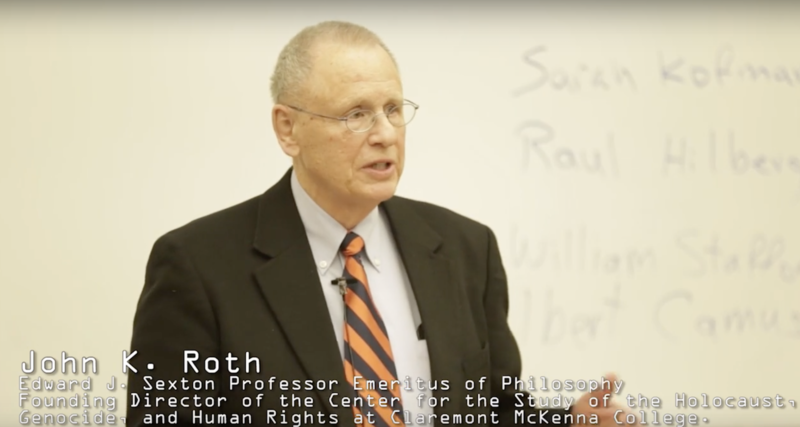 Dr. Roth is the Edward J. Sexton Professor Emeritus of Philosophy and the Founding Director of the Center for the Study of the Holocaust, Genocide, and Human Rights (now the Center for Human Rights Leadership) at Claremont McKenna College, where he taught from 1966 through 2006. He has published hundreds of articles and reviews and authored, co-authored, or edited more than forty books, including Genocide and Human Rights: A Philosophical Guide; Gray Zones: Ambiguity and Compromise in the Holocaust and Its Aftermath; and Ethics During and After the Holocaust: In the Shadow of Birkenau. Dr. Roth has inspired communities internationally in his role as visiting professor at campuses from Indiana to Haifa. In 1988, Roth was named U.S. National Professor of the Year by the Council for Advancement and Support of Education and the Carnegie Foundation for the Advancement of Teaching.